As healthcare costs and insurance premiums continue to rise at a pace far surpassing inflation, payers have responded to the mounting economic pressures by employing complex billing and coding rules to eliminate inappropriate payments. Over a decade ago, the Centers for Medicare and Medicaid Services (CMS) implemented the National Correct Coding Initiative (CCI) in an effort toeliminate fraud and ensure that reimbursements were appropriate for the services actually rendered. Additionally, Congress mandated, as part of Social Security reform, that Medicare only reimburse for procedures that are "reasonable and necessary"; therefore, healthcare providers must now navigate a myriad of medical necessity rules and a veritable coding labyrinth to receive payment for services. ZirMed's robust claims management solution offers best-of-class validations, edits and scrubs. 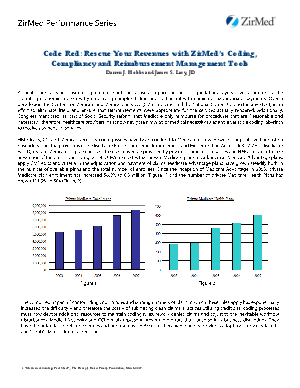 Our proprietary software enables multiple levels of edits and rejections and integrates upfront CCI and Medical Necessity edits along with denial research tools into ZirMed's Claims Management Solution.